The E-Class is Mercedes-Benz mid-sized product range. With the introduction of the latest generation of products, the E-Class now includes a coupe and convertible. 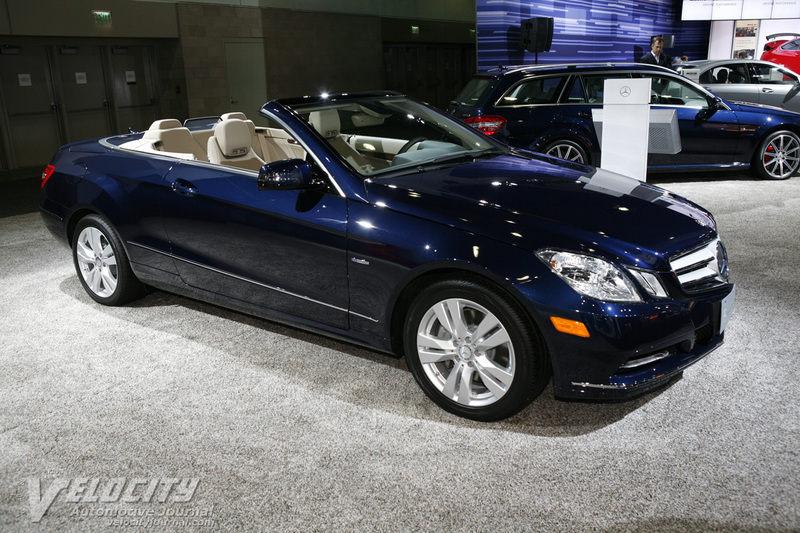 The E-Class Cabriolet replaces the long running CLK convertible. Although Mercedes-Benz offers two other convertibles, the E-Class Cabriolet is the only one that has seating for more than two passengers. Like other MB products, the product names correspond to the powertrains: the E350 has a 3.5l V6 under the hood, whereas the E550 equips a V8. A seven-speed automatic and RWD are standard on both models. Unlike other MB products, no AMG performance model is offered. The convertible top is a power operated cloth top that operates in 20 seconds. When the top is down, a diffuser (called AIRCAP) extends from the top of the windshield to cut down on drafts. An optional AIRSCARF system provides heat through the headrest for top down driving on chilly days. Prices start at around $60,000. The E-Class coupe and cabriolet add heated front seats and an updated telematics system as standard equipment.